Teams across the NFL have until May 2 to officially pick up their 2020 options on players who are entering the final year of their rookie contracts. These fifth-year options can only be exercised on first-round picks, and the salaries are determined by where players were drafted and what position they play. If a player has his option exercised, his rookie contract will be extended by one year and he’ll be eligible for unrestricted free agency in 2021, after the conclusion of the 2020 season. If a player’s option is declined, he’ll be eligible to hit the open market a year earlier. Of course, if a 2016 first-rounder is no longer on his rookie contract, there will be no option to exercise or decline. We explained the intricacies of the fifth-year option in a PFR Glossary post, so you can read up on the specific details there. Soon, we’ll learn the official salary figures for all 2020 fifth-year options. What we do know is that the option salaries for top 10 picks is equal to the transition tender at the player’s position during his fourth season. So, because the transition tag for quarterbacks this year was $22.783MM, we already know that Jared Goff and Carson Wentz‘s fifth-year option will be worth that amount. Former Packers second-round corner Quinten Rollins took part in the Broncos’ minicamp on a tryout basis, according to Ryan O’Halloran of the Denver Post (Twitter link). Also in attendance were defensive linemen Mike Purcell and Marcus Hardison, offensive linemen Jake Brendel and Jake Rodgers, and cornerback Trey Johnson. Brendel and Johnson were signed following the audition. Green Bay used the 62nd overall selection on Rollins in the 2015 draft, but the Miami (OH) product struggled over three seasons and 33 games with the club. A torn Achilles ended his 2017 campaign prematurely, and he was waived during final cutdowns the following September. Rollins hit the workout circuit and eventually latched on with the Cardinals’ practice squad, but was cut loose in December. Rollins clearly hasn’t posted NFL-caliber performances thus far in his career. In 2016, the only year in which he saw enough snaps to qualify, Football Outsiders ranked Rollins dead last among 84 corners in success rate and second-to-last in yards allowed per pass. In Denver, Rollins would be working with an experienced defensive staff that includes Vic Fangio and Ed Donatell, but also facing an uphill climb on a cornerback depth chart that already includes Chris Harris, Kareem Jackson, and Bryce Callahan. 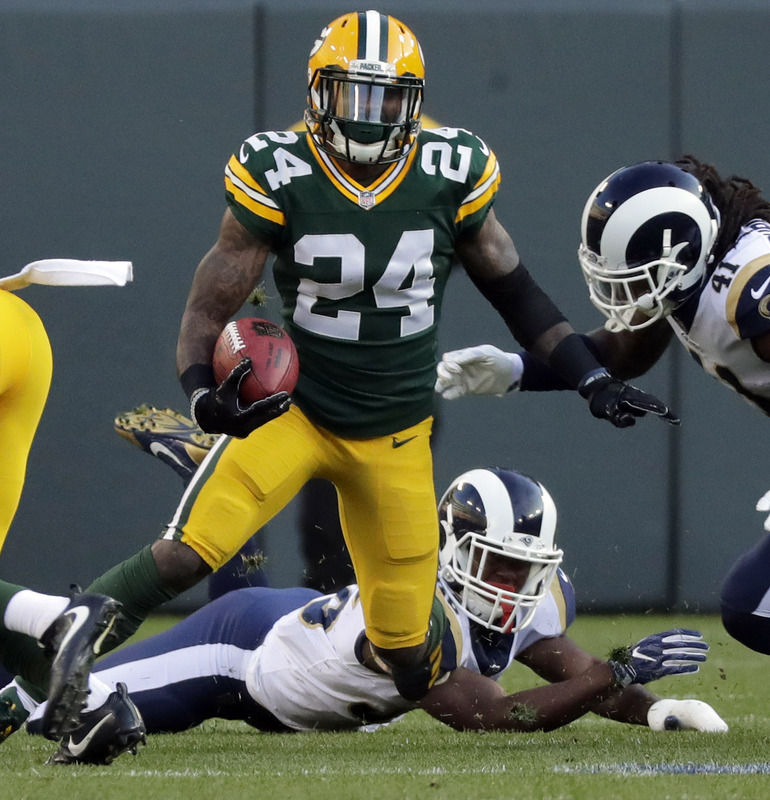 Before he was released by the Packers, Green Bay coaches expressed an interest in playing Rollins at safety, something he was open to even before entering the NFL. But the Broncos have depth at safety, as well, with Will Parks, Justin Simmons, and Su’a Cravens all on the club’s depth chart. Free agent offensive lineman Mike Remmers underwent minor back surgery earlier this offseason, according to his agent Brett Tessler (Twitter link), who adds Remmers has continued to speak with clubs and expects to sign a new contract after the draft. It’s no surprise that Remmers will have to wait until the draft is concluded to find a landing spot, as clubs are likely holding off on signing any more veterans until they see what prospects they can land next weekend. Additionally, players signed after May 7 (the second Tuesday after the draft) don’t count against the NFL’s compensatory pick calculations, although that rule won’t affect Remmers given that he was released and is therefore not considered a true unrestricted free agent. After being cut by the Vikings earlier this year, Remmers took a visit with the Giants. To date, New York is the only club known to have expressed interest in the veteran offensive lineman. The Giants added right guard Kevin Zeitler via trade this offseason, so Remmers would likely compete with Chad Wheeler for playing time as New York’s right tackle. 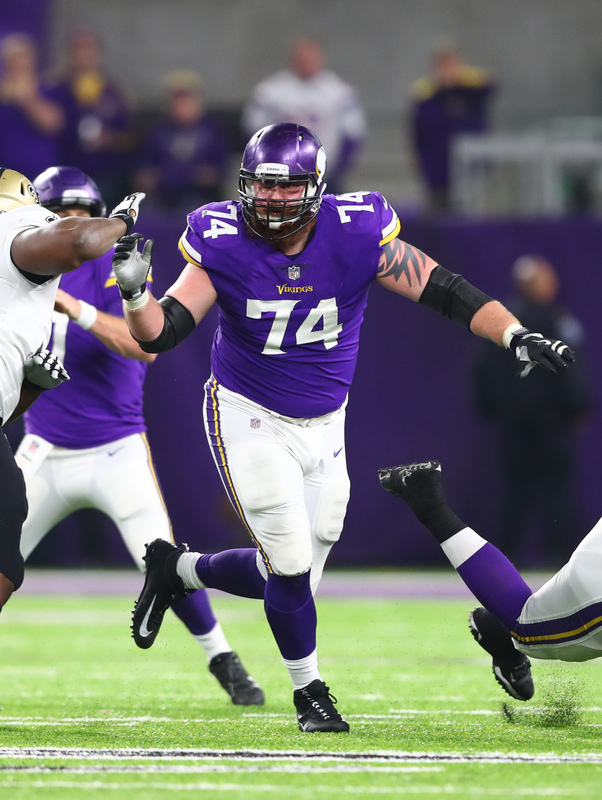 Remmers, who turned 30 years old last week, appeared in all 16 games for the Vikings last season and played nearly every offensive snap. Pro Football Focus graded Remmers as roughly league-average, ranking him as the NFL’s No. 48 guard among 78 qualifiers. The Titans recently hosted free agent defensive tackle Damion Square, according to Field Yates of ESPN.com (Twitter link). 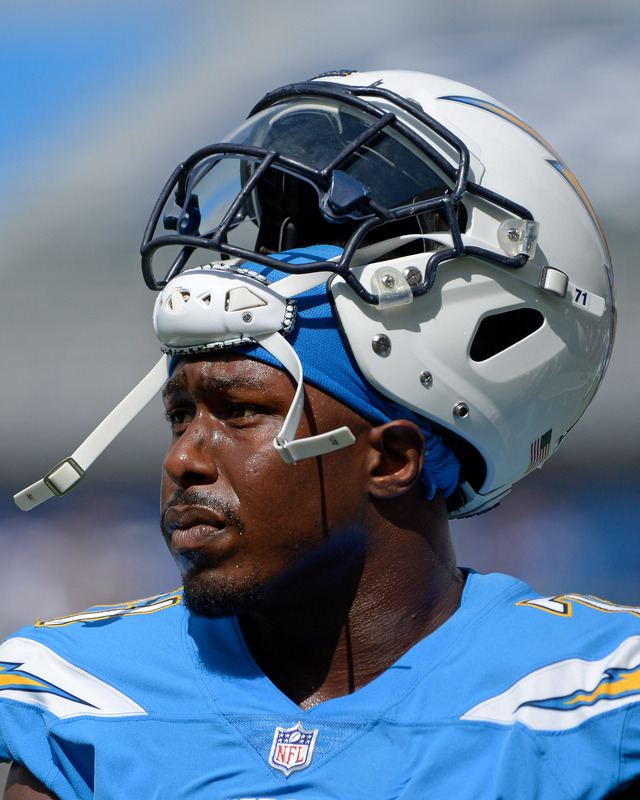 Square, 30, has spent most of the past five seasons with the Chargers, appearing in 49 games with the club since 2014. An undrafted free agent who began his pro tenure with stints in Philadelphia and Kansas City, Square set a career-high in starts (11), tackles (31), and sacks (three) in 2018. A better run-stuffer than a pass-rusher, Square played on roughly half of Los Angeles’ snaps a year ago but graded as a bottom-three interior defender, per Pro Football Focus. Tennessee is currently projected to start Jurrell Casey, DaQuan Jones, and Austin Johnson along its three-man front, so Square — if signed — would offer depth. Square’s last deal with the Chargers was a two-year, $4MM pact, and it’s difficult to imagine he could wrangle much more from the Titans this time around. Kyler Murray-to-Arizona still looks to be in the cards (no pun intended), but the Nos. 2-4 quarterback landing spots — and the order in which they will be drafted — remain murky. While Dwayne Haskins‘ reported slide has led to some predicting Drew Lock would benefit, Jason La Canfora of CBS Sports notes the Missouri product has a “very real chance” of being the fourth quarterback selected and/or falling out of the first round. Connected to Lock prior to their Joe Flacco trade, the Broncos would be intrigued by the prospect of nabbing Lock in Round 2, per JLC, who tabs Denver as more likely to address a bigger immediate need in the first round. The Broncos visited with Lock during the process, as did several other teams with some degree of a need at quarterback. If Lock’s floor may be more open-ended, La Canfora tabs the Redskins being Haskins’. Washington has done work on the Ohio State alum, along with the other high-profile QBs in this draft. The Raiders have also been “super impressed” by the 2018 breakout star, but they have been reported as being unlikely to use one of their three first-round picks on a quarterback. The other quarterback mentioned as a first-round possibility, Daniel Jones has intrigued the Patriots, per JLC. New England holds pick No. 32 but has a draft-high 12 picks (including six in the first three rounds) and has plenty of ammo to move up. The Pats hosted Jones on a visit last week. New England has not taken a first-round quarterback since Drew Bledsoe 26 years ago, but NFL.com’s Gil Brandt would not be surprised if this happened (Twitter link). Both the Giants and Panthers have done plenty of work on Will Grier, La Canfora adds. The West Virginia passer profiles as someone who could be available in Round 2. New York holds pick No. 37, Carolina No. 47. This is the latest we’ve heard on the Panthers’ interest in Grier. Although Carolina brass has reportedly not done more research than usual on quarterbacks in preparing for this draft, Cam Newton has not resumed throwing and is going through extensive shoulder rehab in a second offseason in three years. Linked to safeties for two offseasons now, the Cowboys brought in six for pre-draft visits. Stephen Jones mentioned (via Pro Football Talk’s Charean Williams) the position as having the least amount of resources put into it of any on the Cowboys’ roster. After bypassing this need in last year’s draft, Dallas will be a team to monitor on this front. Lastly, another member of this year’s stellar defensive line class may not check out medically. Some teams have red flags on Rashan Gary, La Canfora notes. While the Michigan lineman is still expected to go in the first round, he may be available a bit later than expected. Should this report of health concerns related to Gary be accurate, he would join Mississippi State products Montez Sweat (who had a heart issue at the Combine) and Jeffery Simmons (pre-Combine ACL tear) as standout pass rushers who have encountered medical issues. Although many high-profile Dolphins from last year’s team are elsewhere now, some stalwarts remain firmly in the organization’s plans. Laremy Tunsil is one of them. The Dolphins will pick up their left tackle’s fifth-year option, Adam Beasley of the Miami Herald tweets. 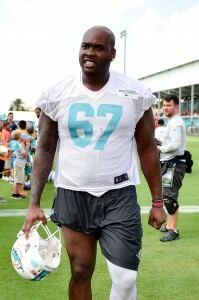 This will push Tunsil’s rookie deal through 2020. After a pre-draft slide, Tunsil wound up in Miami three years ago. He has started 44 regular-season games, moving from left guard to left tackle full-time in 2017. Tunsil will be a constant for an offensive line that has since lost Ja’Wuan James, Ted Larsen and Josh Sitton. Miami returns Daniel Kilgore, but the 24-year-old Tunsil obviously profiles as a longer-term starter. Pro Football Focus viewed 2018 as Tunsil’s best season, one that ended with the site grading the Ole Miss product as the No. 36 overall tackle. His salary will spike to around $10MM in 2020, barring an extension in the meantime. These options are guaranteed for injury only.